When you stay at AC Hotel Genova by Marriott in Genoa, you'll be in the business district, a 3-minute drive from Gaslini Hospital and 7 minutes from San Martino Polyclinic Hospital. 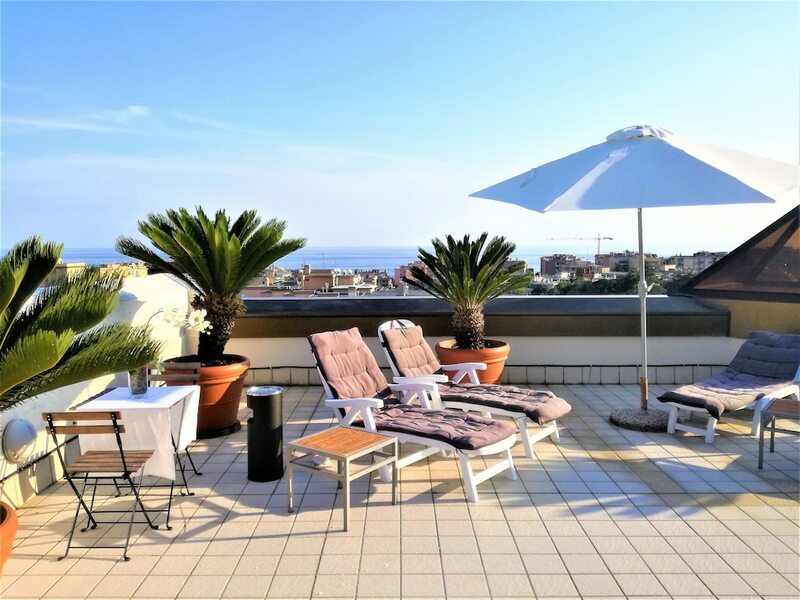 This 4-star hotel is 5.6 mi (9.1 km) from Genoa Port Center and 6.4 mi (10.2 km) from Aquarium of Genoa. Make yourself at home in one of the 139 air-conditioned rooms featuring minibars and flat-screen televisions. Complimentary wireless Internet access keeps you connected, and satellite programming is available for your entertainment. Private bathrooms with shower/tub combinations feature complimentary toiletries and bidets. Conveniences include phones, as well as safes and desks.